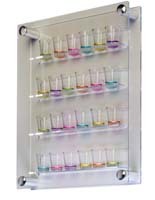 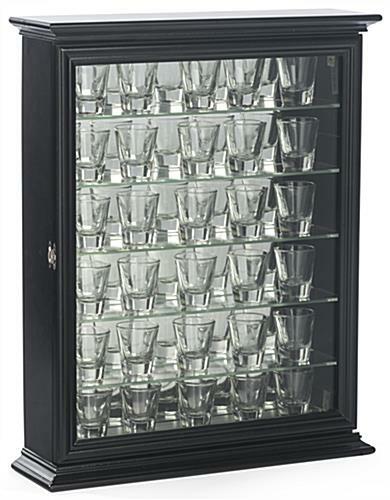 Common Size (w x h x d): 16.5" x 21" x 4.5"
These black shot glass cabinets can hold up to (36) glasses on their (6) rows. 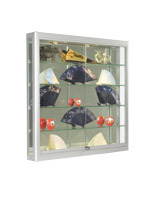 Alternatively, the display cases' (5) shelves can be adjusted to accommodate larger items. 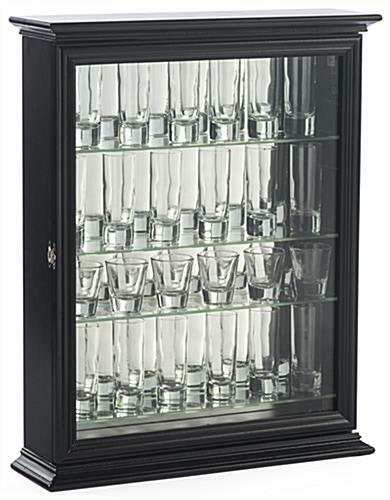 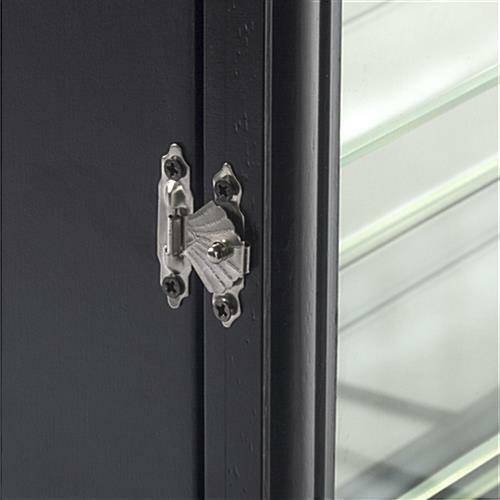 Each of the shot glass cabinets has a clear swinging door and can be mounted to walls or stood on countertops. 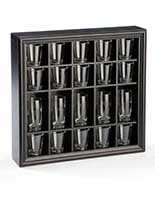 The holders feature a stylish mirror back that accentuates their contents. 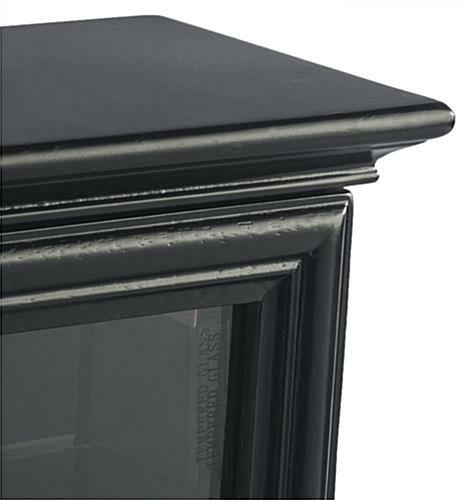 The cabinets with adjustable shelves are great for any wall or tabletop with their attractive design. 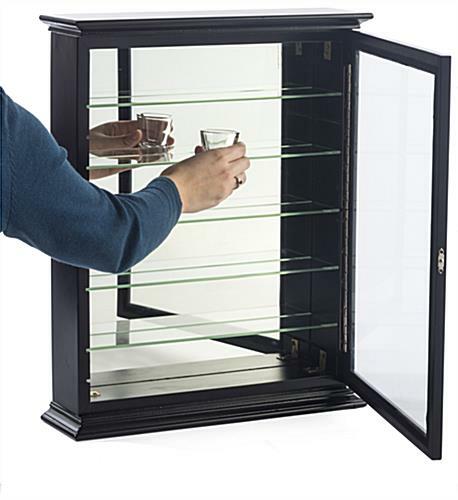 The display cases' clear door and mirror backing maximize visibility, making them ideal for other curios and memorabilia in addition to glassware. 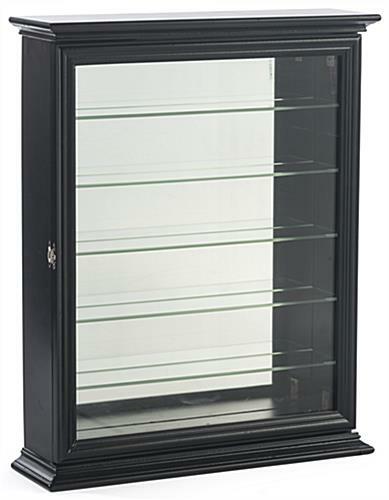 Please Note: The high quality tempered glass door of this case is heavy and can cause the case to tip forward when opened. 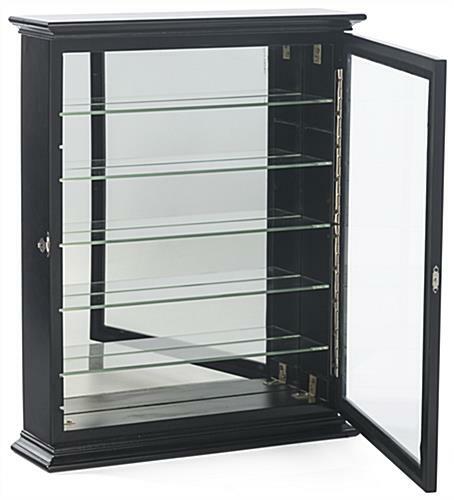 In order to avoid tipping or injury please ensure the back side of the display case is securely held while opening the door. 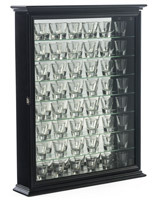 16.5" x 20.8" x 4.8"
14.0" x 17.5" x 3.0"